Twitter is undeniably one of the best platforms to interact. 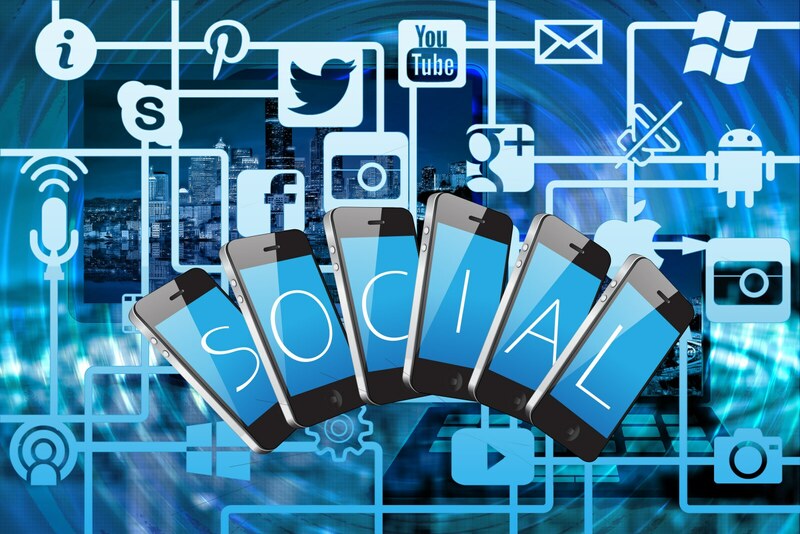 This applies not only to a normal social media user, but also to a company looking to communicate its brand message, to distribute its text and visual content or network with others. 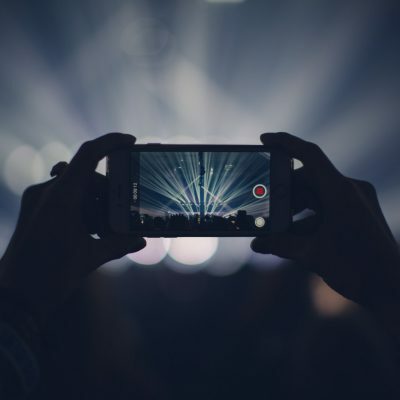 Creating engaging visual content is definitely the way to attract views and reach bigger audiences. At the same time, since you put a lot of effort into coming up with original creations, it’s advisable to back them up through tasteful text or logo marks. This way you’ll not only protect your images, but you’ll also open up an opportunity to boost your online notoriety. PhotoMarks is our first proposal for protecting photos online. 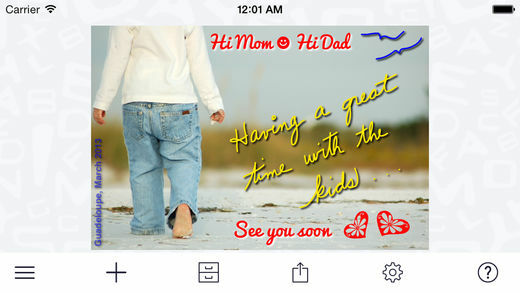 The app comes with an intuitive interface, which makes it easy to use right from the start, and offers the possibility to add customizable text and logo watermarks to your pictures. This means you’re free to rotate, scale and position the marks exactly how you want, you can select your favorite font, color and size, adjust the transparency or add special effects like shadow and stroke. On the practical side, PhotoMarks has a feature which allows you to save your marks as profiles and just use them again later without going through the same process. The app uses non-destructive editing so that you can perform as many changes as you want without altering the original pictures. 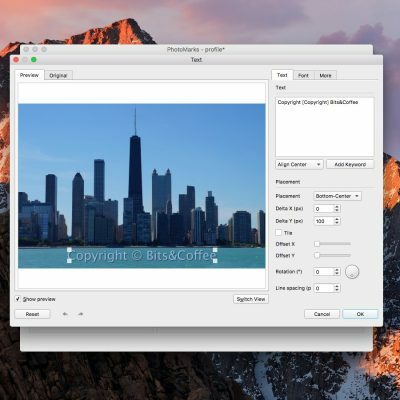 You have the option to export your photos in full resolution and share them directly from within the app on Twitter or other social network. 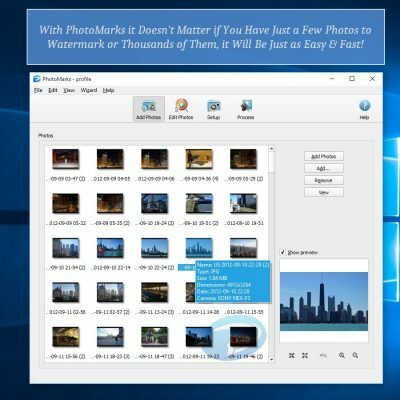 In addition to the mobile version, PhotoMarks has also desktop-based versions for Windows and Mac. 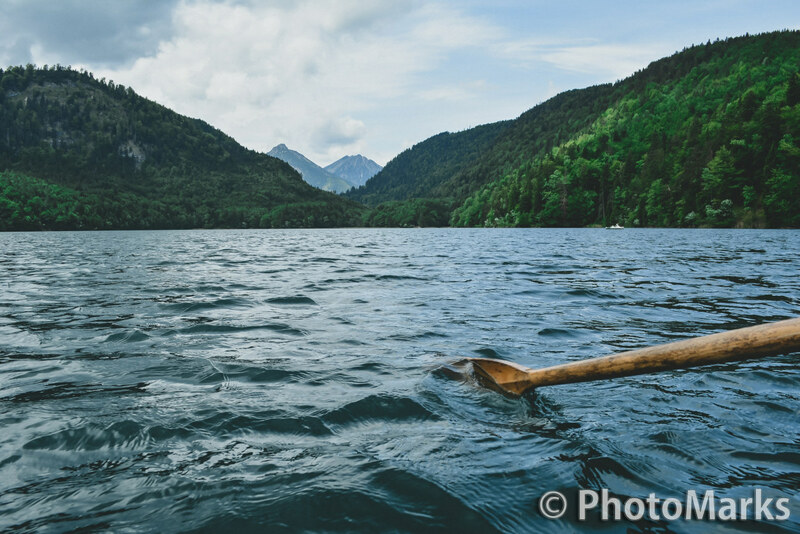 A+ Signature is an interesting solution to add a watermark to your photos on the go. To digitally copyright your pictures you’ve got multiple solutions at your disposal: you can add either text, your own handwriting and even drawings. Customization options include selecting the desired placement and scale, choosing from a wide range of fonts and colors, setting the opacity or adding a shadow. Just like PhotoMarks, A+ Signature allows you to save your marks and use them again later for increased productivity. In addition you can use stock items to customize them to your liking and to create funny photo cards or memes. 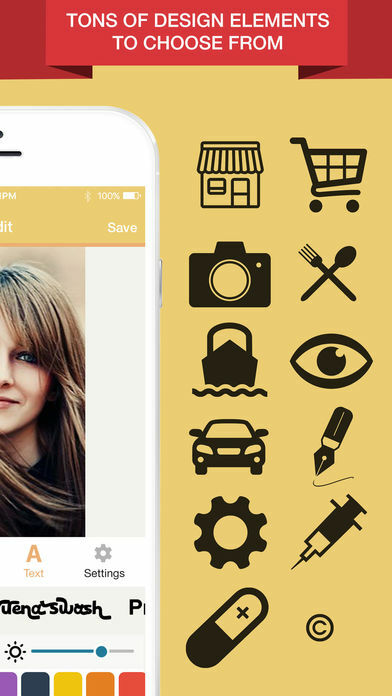 The app offers the opportunity to directly share your photos on various social platforms or send them via email. With eZy Watermark you can add a large variety of watermarks to your pictures, which include text, logo, signature, copyright and QR code. You can easily turn each mark into your own creation by selecting your favorite font, color and size, by adjusting the opacity, the rotation and position, as well as dropping a shadow effect. 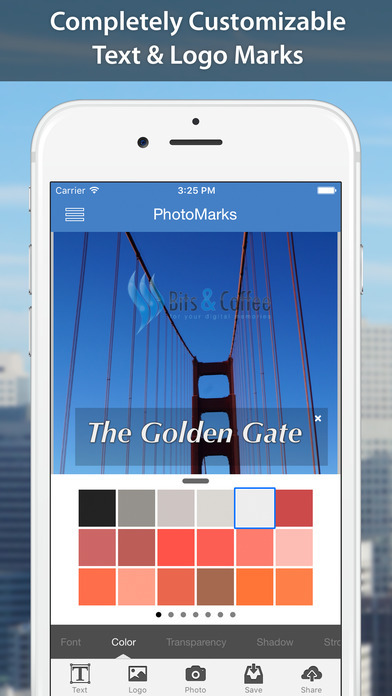 The app works on multiple layers, which means your original photography will not be altered. With eZy Watermark you can also decorate your images with various types of design elements, like cartoons, stickers or emoticons. Once you’ve finished editing your picture, you can take advantage of the export feature and share your work on Twitter and other platforms or send it to friends via email and WhatsApp. 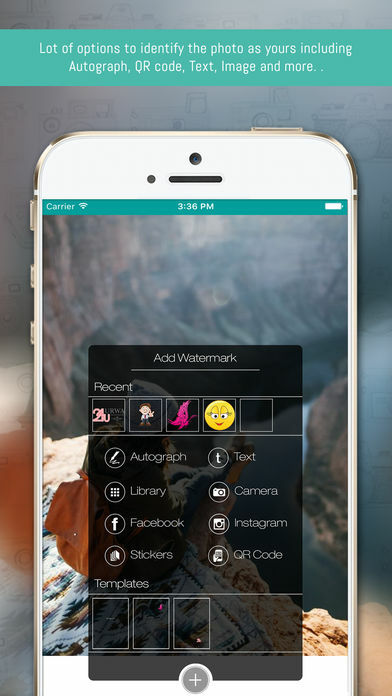 Watermark Studio X is another alternative for iPhone users looking to safeguard their Twitter content. To simplify your task, this app comes with a wide array of pre-designed templates to select from. These can range from classic copyright notices and trademarks to modern types of watermarks like digital signature, #hashtag and even your location. 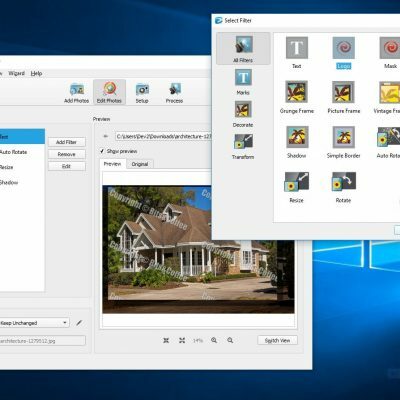 Exactly like in the case of the previously-mentioned apps, Watermark X enables users to customize their marks by changing their color, opacity, size or position. The app also allows you to share your photos on all popular social media channels, including Twitter. 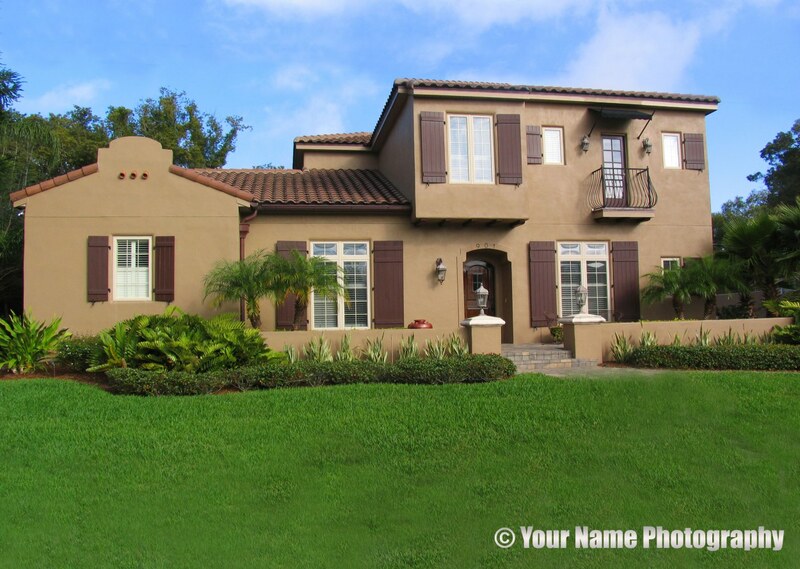 Watermark Photo is a simple, easy to use solution to protect and personalize your images on social media. 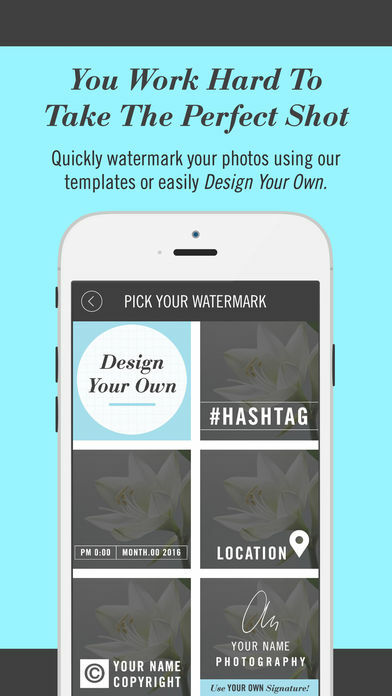 With just a couple of taps you can add a multitude of watermarks to your photo, whether it be text, logo, your own signature or various other design elements. The app allows you to gain control over your marks and customize them in terms of font, color, size, opacity level or placement. You can also crop and rotate your photo and, once you’re done, share directly your creation on Twitter or the desired social platform. 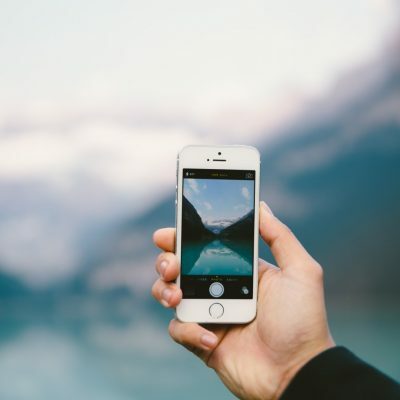 This was our list of watermark apps for iPhone to use on Twitter for content protection. If you use any of these apps or others to watermark your images, please let us know in the comments below.